The subject of emerging contaminants is floated on a regular basis – as being a regulatory challenge, a headache for industrial landowners, and an alarm bell for NGOs who watch for damage to the environment which might emerge unexpectedly from what might previously have been considered benign substances. Rachel Carson’s seminal book, Silent Spring, published in 1962, brought the DDT issue out in the open. 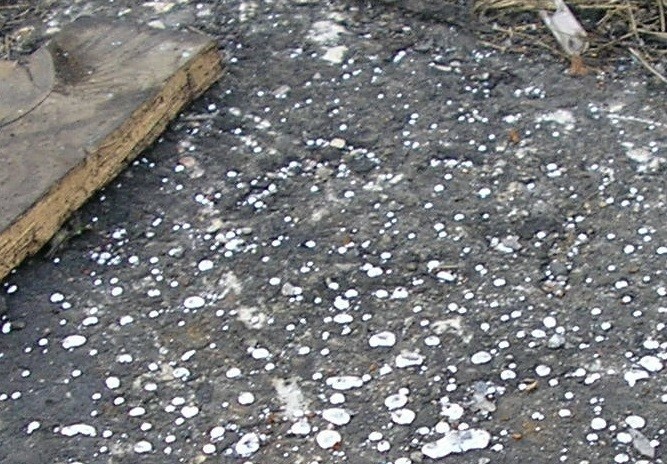 Regulators and Industry Bodies have tackled the subject of emerging contaminants, and found it very difficult to spot the ”next DDT” or the “new asbestos”. Perhaps this is not surprising, as it is not so much the substances which emerge, as our understanding of the toxicology and other properties of substances, or their behaviour in the environment – such as persistence or potential for bioaccumulation. In addition, what might be viewed as an acceptable concentration this year might become unacceptable next year as bodies such as the World Health Organisation bring in new Drinking Water Standards which reflect our changing understanding of the effects of chemicals on health and the environment. Much publicity has been given to PFAS (perfluorinated and polyfluorinated alkyl substances), phthalates and microplastics of late. It is worth considering these in turn. PFAS is a group of substances which include Perfluorooctane Sulfonate (PFOS) and Perfluorooctane Acid (PFOA). These have been used extensively in the last 30 years to provide food packaging, non-stick surfaces in kitchen ware, and improved fire suppression characteristics in foam used to douse fires. The reasons for its effectiveness relate to its persistence – it’s very hard to breakdown, and hence in the environment, there is very little biodegradation, and it only changes concentration by dilution. The group of substances are linked to several forms of cancer and effects on liver, gastrointestinal system and thyroid hormones. In 2016, the USEPA announced increasing concern about the group of substances, and reduced the Health Advisory Value to 70 nanograms/litre. This resulted in Water Companies reviewing their abstraction sources on a precautionary basis, with some discovering that their main source of drinking water supply could no longer be used with confidence. In the state of Michigan, widespread impacts on surface and groundwater have caused the State to declare localised states of emergency while they find alternative water supplies. Finding alternative sources and setting up appropriate infrastructure to deliver potable water to a State comes with a multi-million dollar bill, and the precautionary approach will be under scrutiny when it comes to deciding who pays the bill. The only company in the US which manufactured PFAS is being pursued in the courts. Who knows what the outcome will be. Extensive investigation and clean-up is also being pursued at sites where fire training takes place – particularly airports and military sites, where mock aircraft or buildings have regularly been dosed with fuel and the fire extinguished with PFAS in the foam. The added effectiveness of fire foam using PFAS may have saved lives over the years, but it is difficult to balance the benefits (possible lives saved in fires) with the disbenefits (environmental accumulation and health impacts through drinking water). It often takes tens of years to establish the true impacts of bioaccumulation of a chemical in the food chain, and the application of the Precautionary Principle in the meantime is often justified by such uncertainty. Phthalates first came to the attention of Regulators in the US in 2003, and since then, this group of chemicals have been studied in detail and shown to include some substances which have negative health effects. An over-arching report produced by the U.S. Consumer Product Safety Commission, Chronic Hazard Advisory Panel on phthalates and alternatives formed the basis for current concerns in relation to a wide range of possible health effects including damage to liver, kidney, lungs and reproductive system. There are moves afoot in the US to ban or reduce the use of a number of phthalates such as Di(2-ethylhexyl) phthalate (DEHP). However, it can be seen that action is slow to happen with a truly new emerging contaminant, and now 15 years on from the first concerns being expressed, there is still only patchy State and Federal regulations in the US to eliminate the chemicals from some products, but the list is likely to grow. Microplastics are also in the news currently. There is confusion around the terminology, with some commentators meaning finely shredded strands of plastics which are becoming entrained in fish in the ocean, against a backdrop of macro-sized plastics which float across the ocean and are cast up on beaches. Industry also produces deliberately fine-sized microplastics such as microsilicones, which are used in products such as wash-off personal products to improve abrasion and washing power. Micro silicones are relatively new, and some are persistent, bioaccumulative and toxic. It is an EU requirement that D4 (Cyclotetrasiloxane) and D5 (Cyclopentasiloxane) shall not be placed on the market in wash-off cosmetic products in a concentration equal to or greater than 0,1 % by weight of either substance, after 31 January 2020. This constraint is expected to be effective in controlling the appearance of microsilicones in waste waters. Some retailers have voted with their feet and will not accept inclusion of microplastics in consumer products. The balance of self-control and regulation can be an effective way to manage this emerging contaminant. However, dealing with the already massive presence of plastics in the environment presents rather greater challenges. Should we give up plastics altogether? This may be a step too far as they now form an intrinsic part of the fabric of society, but action is need to avoid adding to the existing problem. But enough of “new” contaminants. What about some of the old chestnuts? Asbestos and its effect on health is well understood, but the relationship between asbestos in soil and asbestos in air is not. As the main pathway of casual exposure is inhalation of asbestos fibres usually liberated from soil in dry weather, we might consider this to require a high level of effort to research, but funds for such work are hard to come by in the UK. In some European countries, the only concern is for exposure to asbestos in the workplace as a result of building fabric degradation and accidental exposure when buildings are being renovated or maintained. Levels of asbestos in soil are not considered a problem. So the whole health risk picture associated with asbestos in the environment is patchy at best, and dangerously lacking at worst. So our approach to dealing effectively with asbestos is still emerging. Mercury is likewise well known and relatively well understood, but it has taken a long time to produce a UN Convention on phasing out the use of mercury. The Minamata Convention on Mercury is an international treaty designed to protect human health and the environment from anthropogenic emissions and releases of mercury and mercury compounds. Minamata disease was first discovered in Minamata city in Kumamoto prefecture, Japan, in 1956. It was caused by the release of methylmercury in the industrial wastewater from the Chisso Corporation’s chemical factory, which continued from 1932 to 1968. The Convention was signed in 2013, and came into effect in 2017. That’s 61 years after the effects of mercury on the people of Minimata was first identified. In conclusion, the subject of emerging contaminants should perhaps rightly include emerging knowledge of toxicology, biaccumulativity and persistence and emerging policy attitudes and interpretation of the Precautionary Principle. To be able to predict what will be the next big issue requires a high quality crystal ball, or a good knowledge of where we have gone wrong in the past to so we can learn from such events, and spot new problems earlier, allowing more timely action.